People try out different ways with the ultimate aim of looking more beautiful and gorgeous. To ignite the same, many popular brands bring out many good beauty products that are of good quality. You get to buy these products online as well as offline but nowadays people prefer more of online shopping as they get branded and quality products without much hassle and at cheaper price. There are many online stores that sell beauty products that are of high quality and are of worth the price. And, if you did not get the right product you have the greater option of returning the product or may be even replacing it with yet another. Now, since Valentine’s Day is just a few days ahead, there is not much time to waste on thinking. 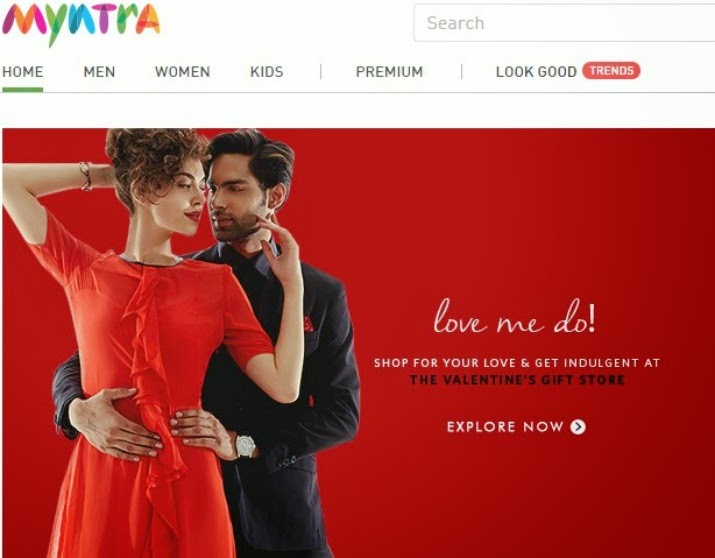 Try out these online stores and their collections on latest makeup and beauty products to look gorgeous on this Valentine’s Day. If you are a real online shopaholic and a beauty conscious person, you might be well aware of this store. Purplle is one of the most trusted online stores for all your beauty needs. It sells all the latest trends and accessories when it comes to beauty and makeup. 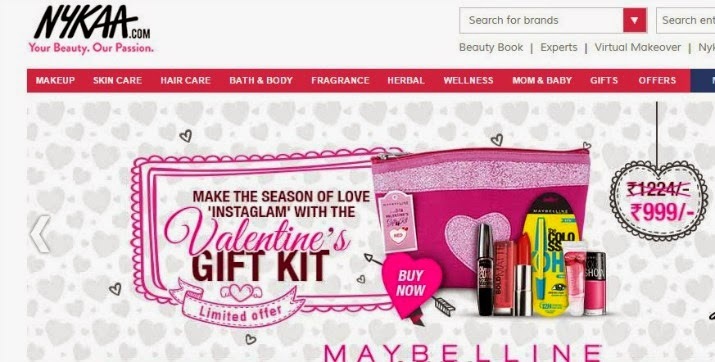 If you want to look a bit extra beautiful this Valentine, try out their Maybelline Instaglam Valentine Pouch Coral that contains Maybelline Colossal Turquoise, Maybelline Color Sensational Bold Matte Mat Coral 326, Maybelline Color Show Nail Enamel Coral Crazy, Hypercurl Mascara Washable & Fruity Jelly 04 Treat Me Sweet. Now, what more you need to look gorgeous! Shop online at Purplle to grab this product now. Nykaa, yet another online makeup and beauty store is also having huge collections of all the trending beauty related products that helps you to get that ‘extra look’. It has anything and everything needed for the perfect look you need and has products for both men and women. Try out their latest collections from L’Óreal which has newly launched their skin perfect. It can make your skin glow on this Valentine’s Day for sure. Also try out for their Valentine’s Day Gift Kit that includes all the needed products for you to look more awesome and believe you would become the talk of the town! Look for Nykaa Coupons for getting these products at a cheaper price that will make you say wow! Myntra is also a perfect store to bring out the real fashionista in you. Myntra has a wide range of collections on beauty and make up products. Check out the store for all that you need to pamper your face, skin and body. Myntra has an exclusive section of beauty products priced under Rs.499 where you can see a huge collection of all the products that are needed to look the best on this D-Day. Also, they have a wide range of collections on perfumes, foundations, nail paint and what not. Also, do not forget to check out their miss match where you get to pair the cosmetics. Look for Myntra Coupons prior buying the products that help you to get your products at a cheaper price. Flipkart, which is regarded as one of the most favorite online store especially by youngsters, is the complete destination for all your needs. Check out their Valentine’s day store for all that you need for making the day one of the most memorable in your life. 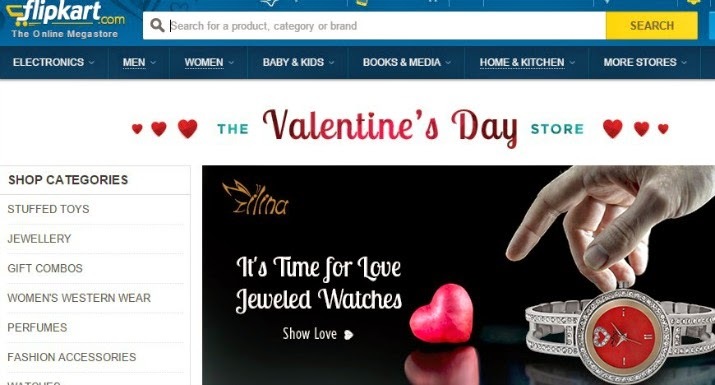 Flipkart has showcased a special Valentine’s Day for all those darling divas who want to look special. Do not forget to look for Flipkart Coupons to get these products at a lower price that will surely make you do more of online shopping! So all girls, look beautilicious this Valentine’s Day! Waiting to get lot of offers like this.